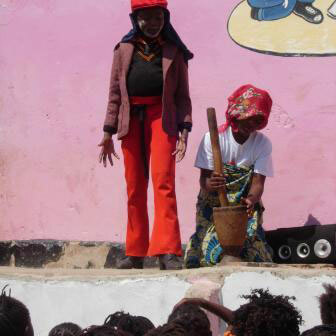 Cumnor United Reformed church's dynamic support for the Hope and Faith Christian School Ng'ombe, Zambia, attracted the attention of a wider group of friends. The Oxford Friends was therefore established in the autumn of 2014 to enhance and widen support to the school. Please read our Constitution. We welcome membership from other congregations, individuals and organisations. What does school lead to? The Oxford Friends were formed just as the first pupils of the Hope and Faith school were completing secondary education and faced the question: What next? If school leads nowhere motivation and morale will diminish at all levels. In response to a challenge from Rosemary Mumbi we made it our priority to provide bursaries for pupils leaving the school for further and higher education. They help youngsters from deprived backgrounds to realise their full potential. We also want to help the school's teachers to raise their professional level. While conscious that we can solve only a part of the problem, we founded a system of awards. awards for courses at university or teacher training college for 3, 4 or 5 years. make teacher development awards, usually at university level, to members of staff, who will be contracted to remain with Hope and Faith for two years after completing courses - salaries are very low in Ng'ombe and do not permit teachers to finance their own professional development. with lower priority, provide a number of scholarships for pupils at Hope and Faith School who are orphans or otherwise vulnerable, in conjunction with the Friends of Hope and Faith School, Sleat, Isle of Skye. We started just as college fees in Zambia were going up - like college fees elsewhere. We saw that we may not be able to help as many students as we had hoped, but we persevered. Awards are made for tuition and, where appropriate, accommodation fees. It seems we must reckon with tuition fees for adult education in the range of £600 (for students following vocational courses while living at home) to £2,600 a year for university courses. Scholarships at the Hope and Faith school itself would cost £225 a year. We are currently paying fees for 15 students in further and higher education, including two teachers. 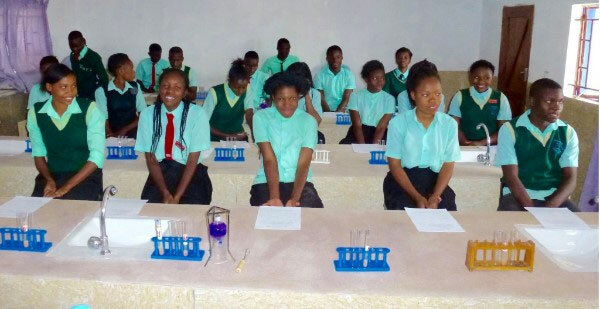 7 of the school leavers are in technical college (electrical engineering, computing, tourism), three are at university (law, accountancy, nursing), one is at teacher training college, one is studying biomedical engineering and one, pharmacy. We have also responded to requests from these students for laptop computers. The Oxford Friends will provide regular information (by email and updates to this website) about the Wyn Cornish Awards. Further information may be requested at any stage by contacting Malcolm Townsend, Chair, Oxford Friends and/or by joining us as a member. Very easy – and you will be very welcome. Please request a Membership Form from Richard Dewar. There are members' meetings (generally with lunch) at least twice a year when the latest news from the school is presented - generally by a committee member who has visited the school. The committee report to members, particularly on finances, and there is ample opportunity to discuss the Friends' current policy. Your committee meet about five times a year at the church or in members' houses. The atmosphere is informal and the approach is business-like and productive. The Oxford Friends will provide regular information (by email and updates to this website) about the Wyn Cornish Awards including feedback from Rose about individual student progress. 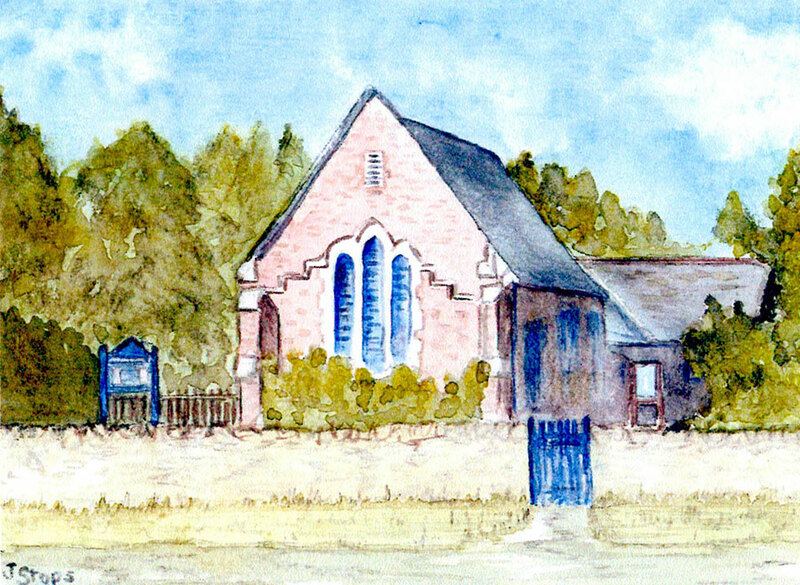 All contributions to the school, made either in support of the church’s Epiphany project or through the Oxford Friends, will pass through the accounts of Cumnor United Reformed Church to ensure that they are dealt with in accordance with UK Charity Commission regulations and, where appropriate, will attract UK Gift Aid. Funds will be remitted to the School at intervals to minimise transaction and currency exchange costs. Rosemary Mumbi knew she was called to serve the people of Ng'ombe but arrived there unclear of what she should do. She started a Sunday-school in her own home and found that the children came to her door on the Monday morning asking for more. The provision of the daily meal is of great importance and is incidentally a modest source of local employment. Teaching was initially in rented township houses which are cramped and dark. 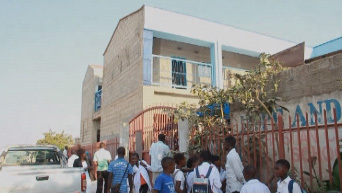 In 2008 the school acquired a small parcel of neighbouring land and in 2009 opened a block of four purpose-built classrooms. Entering their courtyard, I had a wonderful feeling of spaciousness. 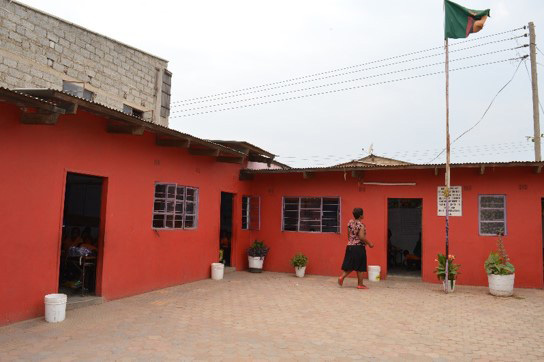 In 2012 these four classrooms were followed by a two-storey block of eight classrooms, opened by the Zambian Minister for Education. The work has continued with a block of laboratories for science teaching, this will enable the school to offer a full secondary syllabus. A borehole has been sunk on the site which provides water not only for the school, but also for its neighbourhood where people previously had to carry water about one kilometre from the nearest pump. The building programme has been made possible by a number of charities, including Smile International, Zambia Orphans Aid, Cumnor United Reformed Church, Kilmore Parish on the Isle of Skye and Water for All. In the secure setting of the school, the children are bursting with happiness and energy, which makes them a beacon of hope for the compound. They wear a simple, bright uniform which clearly gives them a sense of pride and responsibility. Lively Christian worship, supported by an enthusiastic choir, suffuses the whole with hope. The lower school is classed by the authorities as a Community School, which carries connotations of inferiority. Hope and Faith, however, refuses to accept second best in any way. 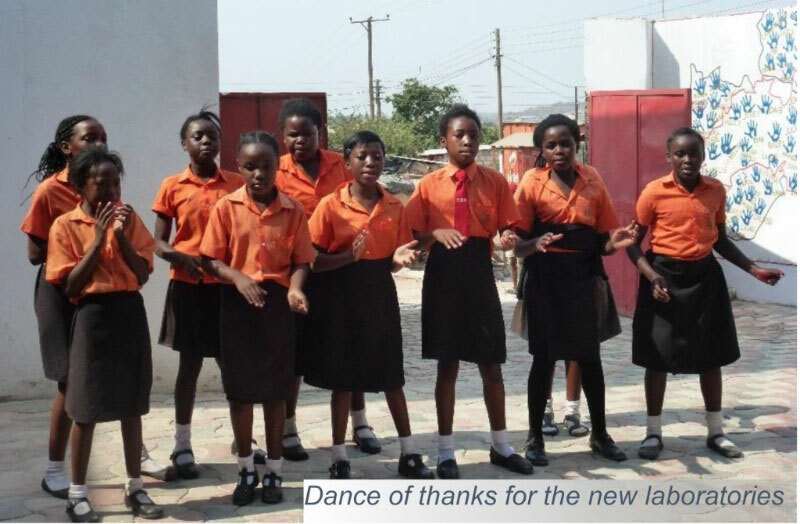 Academically, the children take government examinations at two key stages and in 2014 the first group took ‘O’ levels. They have had consistently good results, not only way ahead of other community schools, but comparable to those of many private schools. In spite of limited facilities, sport flourishes and on one occasion Hope and Faith came first at an athletics meeting with, mainly, private schools. Equal opportunity and equal value are accorded to both the boys and the girls. Moreover the children are prepared to manage some everyday problems of life in the compound, particularly by acting out cameo dramas. In one of these a father refuses to allow his growing daughter to continue at school – until the police intervene. In another a young couple insist on their right to marry against their parents’ wishes. The ultimate authority is the very distinguished Board of Governors. Day-to-day, however, the life of the school is greatly influenced by the Parent-Teacher Association, which ensures an organic involvement of the school with the neighbourhood which it serves. At an early stage the PTA decided that the principal source of income would be modest fees. They also agreed that, given the general situation in Ng'ombe (see the first paragraph of the School page) orphans and vulnerable children (OVCs) should be enrolled free of fees and receive free school uniform. This provision for OVCs is one reason why fees received by the school (including those paid by overseas sponsors) cover only about 70% of operational expenses. This funding gap was about £23,000 in 2016/7 and was mainly met by Zambia Orphans Aid, Cumnor United Reformed Church and Kilmore Parish. The school has grown up with those who are now the senior pupils. They face the transition to the world of work, whether through further education or otherwise. If the transition cannot be handled successfully then there may be some blow-back on morale in the school. Hence the particular objectives at present of the Oxford Friends of Hope and Faith School. The AGM of the Oxford Friends of Hope and Faith School was held on 21 October 2017. We heard that the Friends raised £13,300 in 2016 for the Wyn Cornish awards; this was additional to a substantial amount raised by Cumnor United Reformed Church for the running costs of the school and acquisition of land. The school needs an assembly and dining hall, but building it would be beyond the resources at present available. 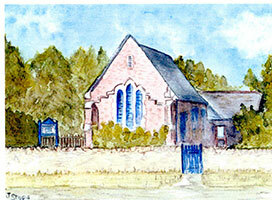 Malcolm Townsend and Revd Nigel Appleton reported on their visits to the school, in March and June respectively. They found the students whom we assist enthusiastic and profoundly grateful. Nigel happened to be present when the school was visited by the Vice-president of Zambia. The AGM also discussed the problems faced by students, and particularly the orphans among them, for whom we pay tuition fees but who have no resources for living expenses, including food. Thanks to the generosity of two of our members, we are now able to provide the school's director over the next three years with a fund for discretionary extra assistance to award holders. We are beginning to hear from award holders who have completed their courses, and the news is very good. 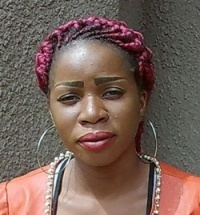 Maureen Chewe has obtained her Secondary Teachers' Diploma from Copperbelt University and has returned to teach at the Hope and Faith school. 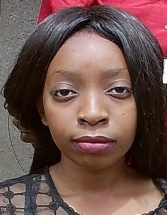 Samson Mangena, who was the school's first Head Boy, has graduated in law from the University of Zambia and has obtained a post in the Attorney General's Office from which he can prepare to be called to the bar. 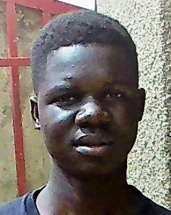 Amos Mulenga has completed his course in auto engineering and, thanks to the generosity of some of our members, has opened his own auto repair shop in Ngombe. The new science labs are now in use. They will ensure that thousands of very poor children can finish secondary school and get a good grounding in science subjects. On Saturday 17 February there was a meeting for all members and supporters of the Oxford Friends of Hope and Faith School in Cumnor United Reformed Church. The latest news from the school and from our award holders was presented. There was also a presentation on the Zambian situation by Adam Lethbridge who has long experience of the country and who represents Zambia Orphans Aid, our sister charity. Discussion was followed by a pleasant lunch. This was one of two opportunities members have each year to discuss current policy. Our next event will be held on Saturday, 15 September at 11.00 a.m., so if you would like to be a member or supporter, please feel free to come along. If you do plan to come please tell Glenda Appleton glenda.appleton@gmail.com so that we can get the catering right.